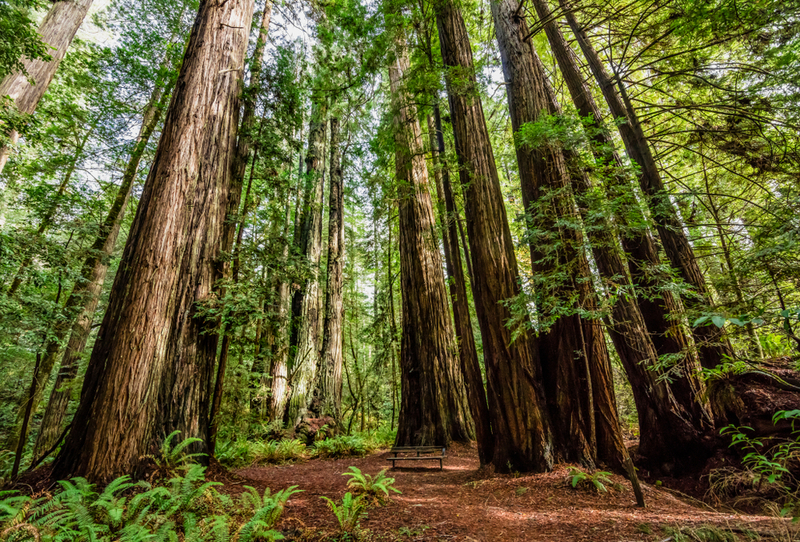 Redwood National Park is best known for being the home of the tallest trees on planet earth, but there is also an enormous variety of wildlife throughout its grounds. Visitors can see the giant redwood trees, then walk through a range of natural habitats where black bears and bald eagles reside. Looking for a place to stay while visiting Redwood National Park? Recreational vacationers will love WorldMark Running Y. Located in Klamath Falls, Oregon, this resort makes for the perfect home-base when you take a trip out to the redwoods. Although it is a bit of a road trip distance, the indoor pool and spa makes it worth your while. Especially after a long afternoon hiking the beautiful redwood trails. Lassen Volcanic National Park offers visitors a chance to explore otherworldly landscapes and see an interesting array of flora and fauna. Several areas are perfect for nature exploration, including the mountain ringed Manzanita Lake, Mill Creek Falls, and Bumpass Hell, a 16-acre area featuring hot springs, steam vents and bubbling mud pots. Ready for a road trip? 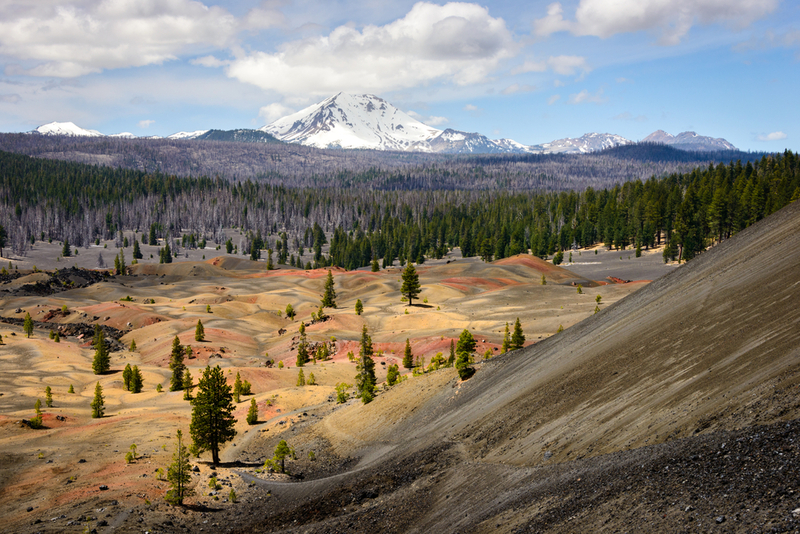 While in San Francisco, Lassen Volcanic National Park is approximately a 4-hour drive from the city. Stay in Wyndham Canterbury at San Francisco to be in the heart of downtown. 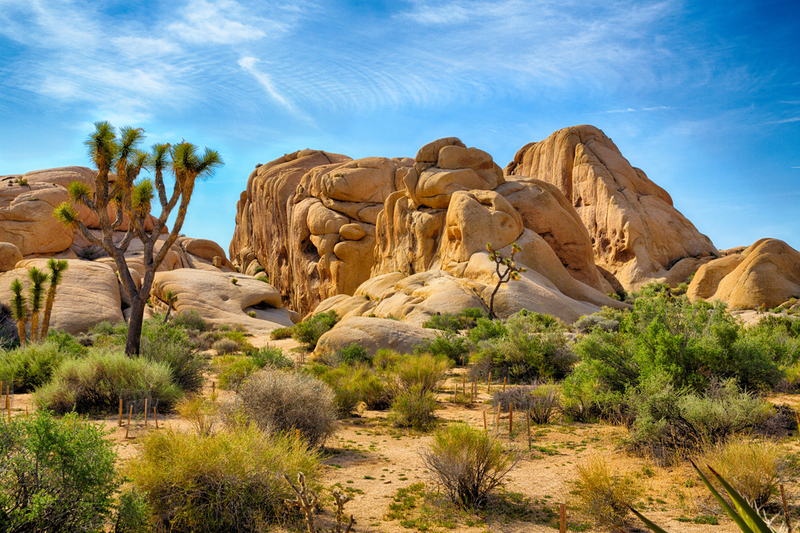 Joshua trees are tall, prickly members of the Agave family and as you can guess, there are thousands of them. Here visitors can explore two different desert landscapes since the park is home to the Mojave and Colorado desert ecosystems. If you’re looking to explore only certain features of the park, there’s a shuttle bus that stops at 16 locations within. Head to Jumbo Rocks, Ryan Mountain and Hidden Valley. Within perfect distance from Joshua Tree National Park, Welk Resort Palm Springs is a quiet vacation alternative with scenic views, three golf courses and plenty of dining nearby. 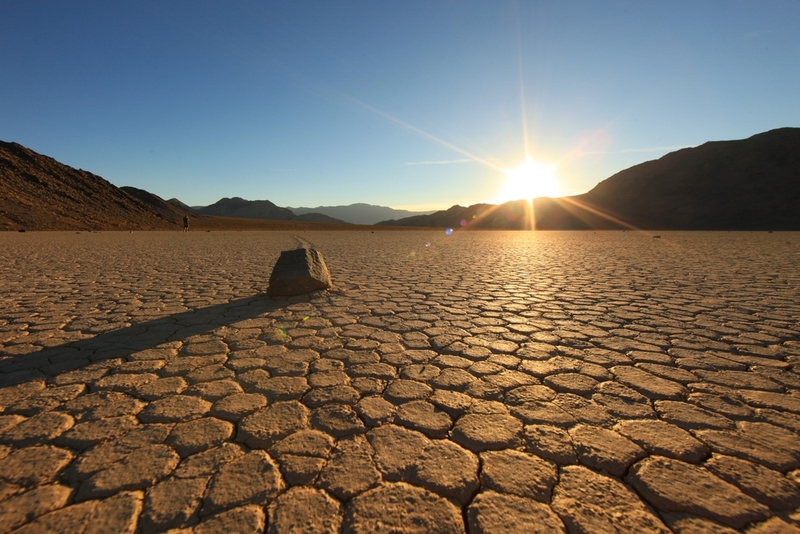 In addition to being the driest location in North America, Death Valley is also home to the hottest place on earth. You might want to time your visit in the Spring and fall due to the extreme heat. With average daily temperatures at 120 degrees, the Summer is off limits to all but the most adventurous hikers and campers. Come in the Spring for a surprise: lots of tiny wildflowers blooming all around. When in Vegas, Death Valley National Park is only a two-hour trip by car. Stay at any one of Las Vegas’ vacation club resorts for the highest luxury and amenities. When you need a break from the city lights, take a day trip to Death Valley. Seeing the giant sequoia trees that can grow to be over 250 feet tall in Sequoia and Kings Canyon National Park should be on your bucket list. Inside, you’ll find the Giant Forest, home to the largest living sequoia in the world, General Sherman Tree. Although the most popular time to visit the park is in the summer, there’s plenty to do during the winter. Skiing and snowshoeing are very popular, as well as rustic hut camping. Only three hours away by car is WorldMark Yosemite Bass Lake. Unwind after a long day of hiking and adventuring at this resort. If you’re here during the colder seasons, suites at this resort also include a fireplace to warm your hands. 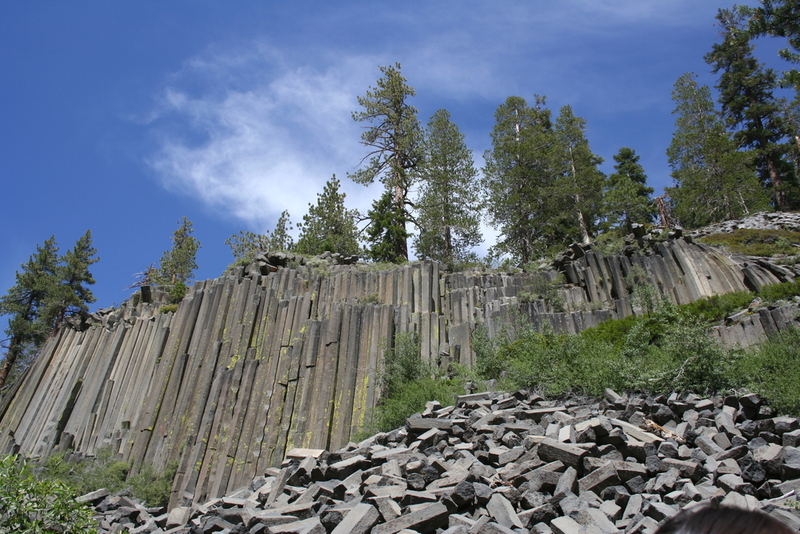 Devils Postpile might seem like a colossal man-made structure but it’s actually a rare rock formation made out of columnar basalt. Visitors are welcome to walk on top of the columns, where they can see the hexagonal design. Be sure to drive carefully down to the parking site—it can be harrowing in places. The most luxurious mountain trip getaway is within a three-hour drive from Devils Postpile National Monument. Marriott’s Grand Residence at Lake Tahoe is located in Heavenly Village, right next to the Heavenly Gondolas. Your vacation will be full of fun with nearby attractions and roadtrips. Aside from Yellowstone, Yosemite is perhaps the most well known national park. 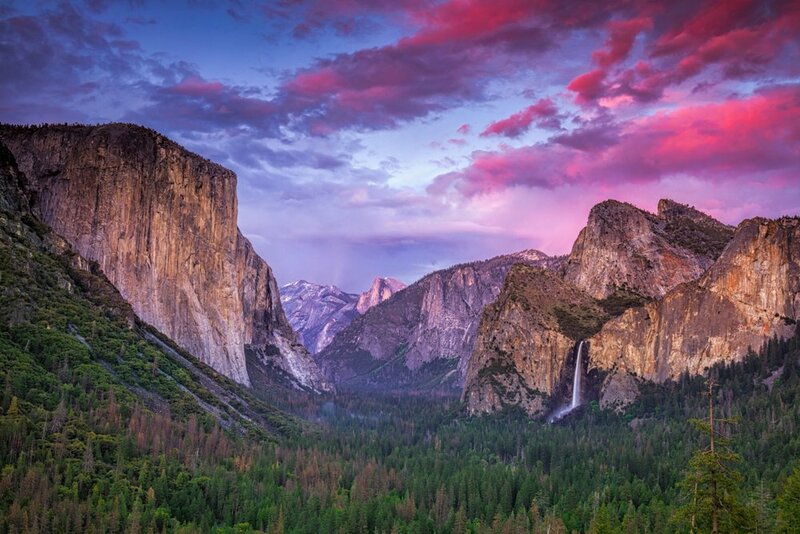 Yosemite is massive, with almost 1,200 square miles of pristine mountains, cliffs, waterfalls and plenty of wildlife. In fact, over 90 species of mammals live here as well as countless species of birds, reptiles, fish and other creatures. Throughout the park there are geological features you can’t miss, such as the El Capitan rock formation, Cathedral Peak and Bridalveil Fall, which towers 617 above the valley floor. 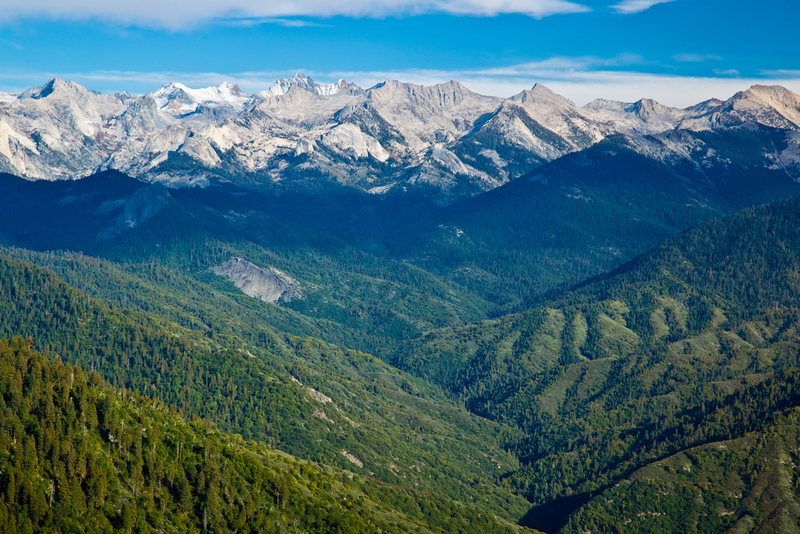 San Francisco is the closest major city to the great Yosemite National Park. Stay at the Ritz-Carlton San Francisco, only a three-hour car ride to your mountain-trip dreams.